There certainly isn’t a lack of scary stories from Florida, despite the carefree vibe and fun in the sun attitude that’s been attracting spring breakers for years. But there’s a dark side to the Sunshine State - a swampy, spooky, backwoods side full of haunted dolls, swamp beasts, and restless spirits. While it may be a tourist hotspot, that doesn’t mean the creepy tales locals tell are woven simply to ensnare visitors. Sure, there are ghost tours in just about every town in south Florida, but most of the urban legends and ghost stories have real historical documentation backing them up. Florida is home to Cassadaga, the only town devoted purely to spiritualists, and is considered the psychic capital of the world. Key West, FL is one of the most haunted locations in the country; it was originally called Cayo Hueso, which translates to "Bone Cay." When Ponce de Leon happened upon it, the island was littered with bones from a mass burial mound that had to be cleared away before anyone could build there. Every square inch of that island is considered haunted by locals. Florida’s spooky vibe isn’t just coming from the inhabitants - it’s in the land itself. The legend of the bloody bucket bridge in the town of Wauchula, FL dates back to before the Civil War. Allegedly, a slave who also acted as the local midwife was smothering babies immediately after birth and telling the families they were stillborn. She would carry the dead babies and buckets of birthing blood and fluids to the bridge, dump the buckets in the water, and bury the bodies beneath the bridge. The stories go on to say her conscience began to get to her, or that her madness grew. She saw her bucket fill with blood all on its own, over and over. She also heard the cries of countless babies every time she neared the bridge. 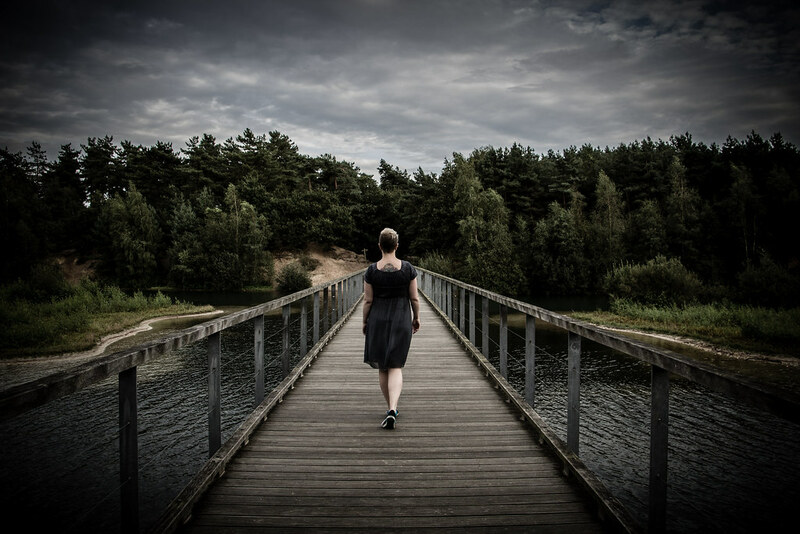 One day she lost her footing, fell into the river, and drowned. They say if you go to the bloody bucket bridge during a full moon, the river runs red with blood. Though much of the old Sunland Hospital has been demolished, the old administration building that remains is believed to be haunted. But where did these spirits come from? Originally a state-of-the-art treatment center for tuberculosis, the Sunland Hospital became a facility for the mentally and physically disabled of all ages after a cure for tuberculosis was discovered. Unfortunately, like many hospitals of its kind, it was understaffed and underfunded, and reports of abuse and wrongful death began to spring up. An investigation launched in 1970 uncovered some highly disturbing facts: unbearable living conditions and malnourished patients suffering from various skin and respiratory infections, a dirty surgical area, and a heavy rat infestation. Patients were strapped to their beds, unable to fight off being chewed up by rats all night. By the early 1980s, the Sunland facility was shut down, its ruins nothing more than a source for ghost stories. Many witnesses claim to hear screams and strange lights appear in the empty building. The swings at the playground outside move on their own, allegedly inhabited by the spirits of the children who died there. Inside Port St. Lucie’s Oak Hammock Park sits an old oak tree that locals say is evil. Or more accurately, that something evil occurred there and it still haunts the land. In 1971, before the park was established, Gerard John Schaefer, an ex-deputy for the Broward County Sheriff’s Office, raped and murdered two 19-year-old girls, Collette Goodenough and Barbara Ann Wilcox, then buried them beneath an old oak tree. Over the next five days, Schaefer repeatedly returned to the scene to commit necrophilia with the bodies. He was tried for murder and stabbed to death in prison in 1995. The girls had been missing since January 8, 1973, but their bodies weren't discovered until 1977, when two fishermen noticed bones protruding from the ground. Local legends and ghost stories about the area include claims of bloodcurdling screams erupting from the surrounding woods, ghostly apparitions, and camera malfunctions near the Devil’s Tree. Police have responded to numerous calls claiming devil worshippers in hooded robes were performing rituals there. In 1993, the local diocese conducted an exorcism and erected a cross at the site. Numerous efforts to cut the tree down failed when chainsaws malfunctioned or axes broke. 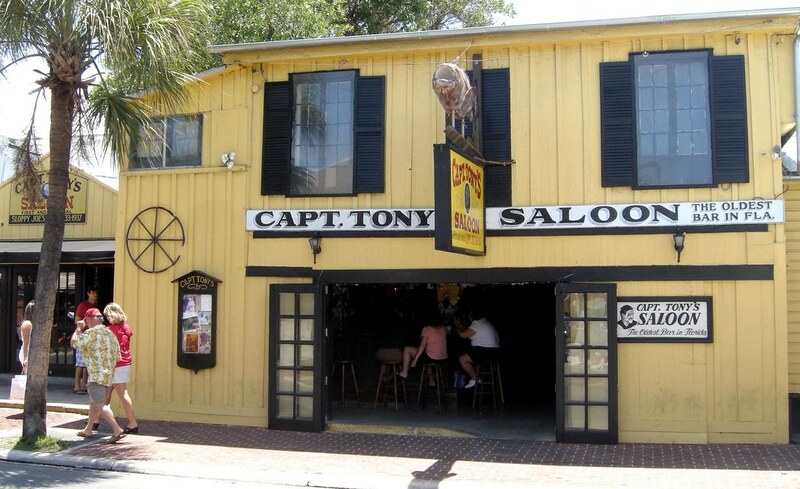 Captain Tony’s, established in 1852, is the oldest saloon in Key West and supposedly the oldest in all of Florida. Randomly enough, it has a tree growing through its center. The tree was used for hangings, mostly of pirates, and they were forced to build around it because anyone who tried to remove it suffered some variety of tragic fate. Patrons have claimed to experience pure dread washing over them inside Captain Tony’s. Doors slam and lock on their own, banging sounds echo off the floor, and several women have spotted ghostly figures peeping in on them in the restroom stalls. Before it was a local watering hole, it was an icehouse and the island’s only morgue (for refrigeration purposes). Any unclaimed or unpaid-for dead were buried in the land right next to the building. An 1865 hurricane unearthed some of the bones, and one of the bodies recovered was used to create a memorial. Locals reburied the body and built a wall above it with several bottles of holy water inside. During construction in the '80s, workers made some startling discoveries after pulling up some of the original building’s floorboards. The bones of around eight to 15 bodies were uncovered as well as the marked grave of a woman named Elvira. Yes, Elvira. Bodies still remain in the building’s foundation, and Elvira’s grave marker has been left exposed in the bar. Nothing says "let’s have a drunken good time" quite like the constant reminder that you're surrounded by dead bodies.